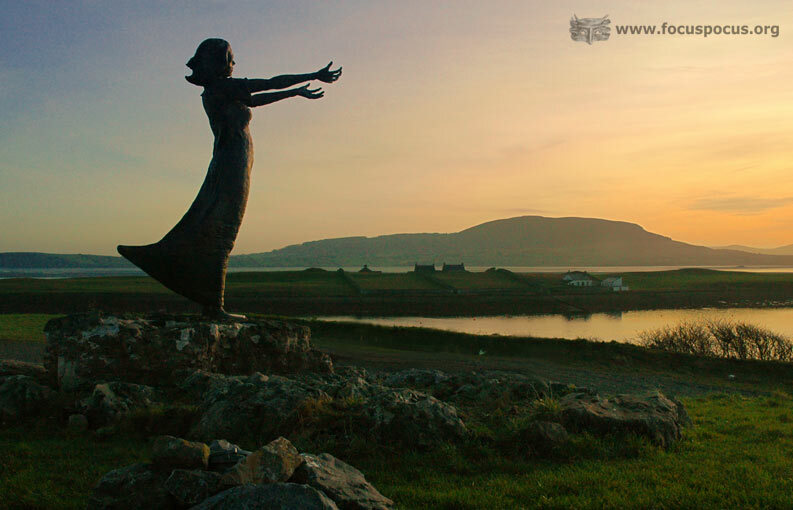 This sculpture by Niall Breton was unveiled in the maritime village of Rosses Point in 2002. A plaque at the site reads This sculpture reflects the age old anguish of a seafaring people who watched and waited for the safe return of loved ones. The men and women of Rosses Point parish have a proud history of courage and survival, of loss and grief that should not be forgotten by future generations. It is to honour the memory of these brave people who once lived, sailed, or were lost at sea, that this woman, cast in bronze, stands to day on our headland. Click the buy now button to the right of the size and finish you would like for this photo and you'll be directed to a secure paypal page where the order can be completed. All prints are professionally produced to be high quality and long lasting.